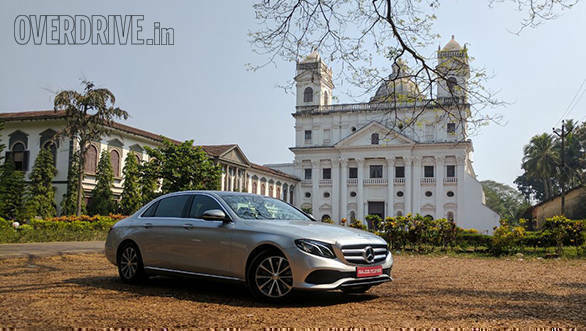 Daimler AG has issued a recall of 10 lakh recently produced Mercedes-Benz cars which might be at risk of catching fire due to a potentially faulty fuse. The recall has been issued in the light of 51 vehicle fires, but there have been no reported injuries or deaths. The recall would affect around 3,07,629 Mercedes-Benz vehicles in the United States alone. The US is among the three biggest markets for Mercedes-Benz, and a majority of the fires were reported  30 of the 51 to be exact  in the US only. The recall would affect around 75,000 vehicles in the United Kingdom, and figures for other countries are yet to be released. Daimler announced that the faulty fuse is found in some of their A-, B-, C- and E-Class cars as well as in their CLA, GLA and GLC vehicles. The issue is with a defective "current limiter" which could cause the starter motor to overheat if there are numerous attempts to start the vehicle. If this happens, the overheating motor could melt parts near it and potentially start a fire. The solution to the problem seems to be outfitting an extra fuse, as a Mercedes-Benz spokesperson said, "Any affected vehicles in inventory will not be sold until they can be outfitted with the additional fuse." Mercedes-Benz was quoted as saying that the fix will be implemented on new vehicles rolling off the production line, and those at dealerships' stockyards will be fixed before delivery. Mercedes-Benz will start notifying the affected car owners in the US about the replacement schedule later this month, but the replacement parts would not arrive until June 2017. Details of when customers from other markets would be notified are unavailable as of now.